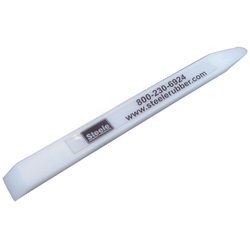 This scraper/tuck tool is great for scraping off old glue and prepping surfaces without damaging metal. It can also be used to help tuck rubber which makes replacing windshield gaskets easier. A good multi purpose tool. 7-3/4" by 5/8".